Save yourself some time on mixing by using our customized mixer presets! With this preset pack, you can also save youself from guess work and headaches trying to figure out where to boost that kick or snare if your new to mixing aswell.Fruity Parametric EQ-2 is the most commonly used Stock EQ Plugin for FL Studio,but everyone isn’t so well versed in mixing and most can use help with pre-made EQ presets. If you find yourself in this category or you just want to improve your beat mixing game, let us help you on where to cut or boost the frequencies in your instruments when mixing your beats. 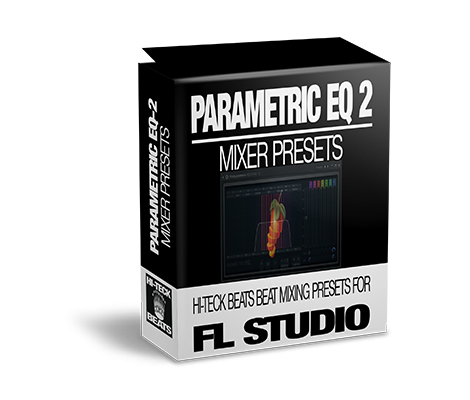 These presets can also save you lots of time by using ready made and proven EQ frequency boost and cuts. *Works with FL Studio v10 through FL Studio v20!